Lori Hairston: Hello Doll + a Giveaway! Hello Doll + a Giveaway! My mom loves paper dolls - don't you, Mom? She has very fond memories of playing with them as a kid and she has enjoyed collecting them as an adult. Mom's birthday was in April and I made a special card reminiscent of a paper doll dress for my dad to give to Mom. Isn't she a doll (hah)! There are two versions - one with a pink banner and one with a teal banner. See the download links below. The vellum butterflies are super easy and oh, so pretty. Just scribble color on the vellum and punch out. Couldn't be easier! 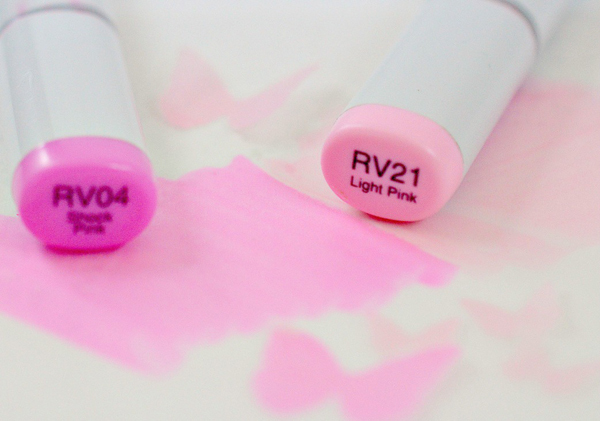 Stack up a couple - they look fluttery and have beautiful soft color. I found several of these vintage baby hangers at an antique store that we go to in Wichita when we're visiting Lauren. It's hard for me to resist sweet little things like this! When I finished up the doll dress, I folded up a piece of cardstock and clipped it to the back with the clothespin for Daddy to write a note to Mom. I also embellished an envelope, because with that hanger a closed envelope really wasn't working! 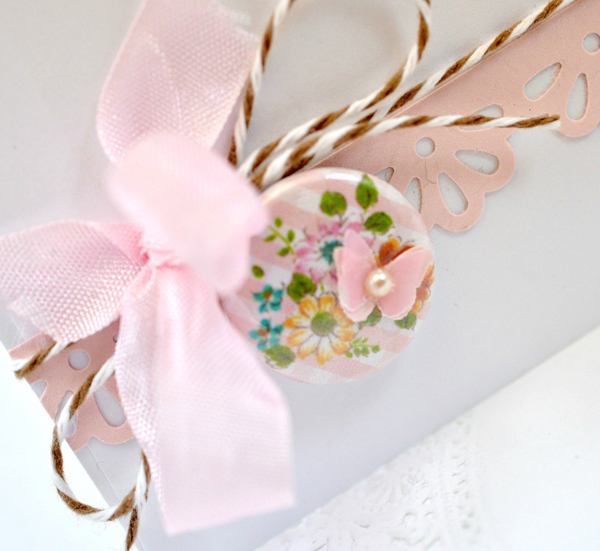 I used one of Keren's other free images - floral gingham circle tags - to make a bit of flair to decorate the front. Isn't it sweet? Would you like to have the Hello Doll images for your creations? For the pink banner version of Hello Doll, click HERE. For the teal banner version, visit Free Pretty Things for You. How do you win? As always, it is easy! Just leave me a comment on this post that you would like to win the Floral Flair Bundle Giveaway. You have until Tuesday, May 6th, 8:00 p.m. (central time) to comment. I'll announce the winner on Wednesday, May 7th. Be sure to check back on Wednesday (especially if you're contact info is hard to find). 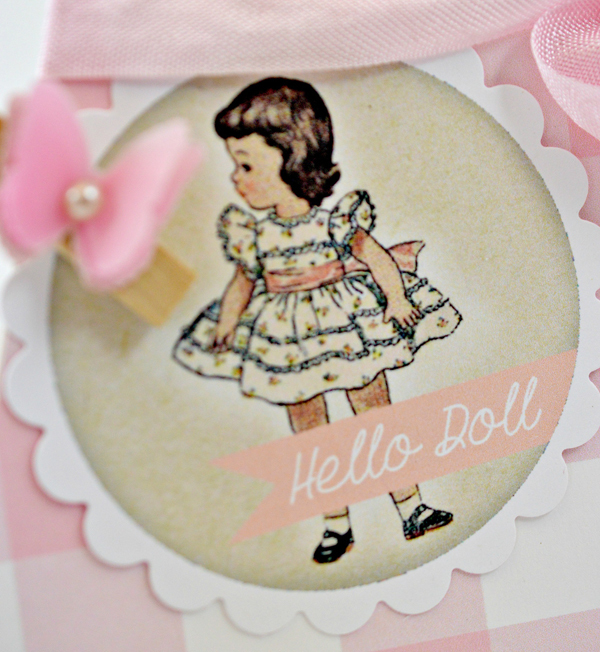 Love your Hello Doll card on the hanger - that's adorable! 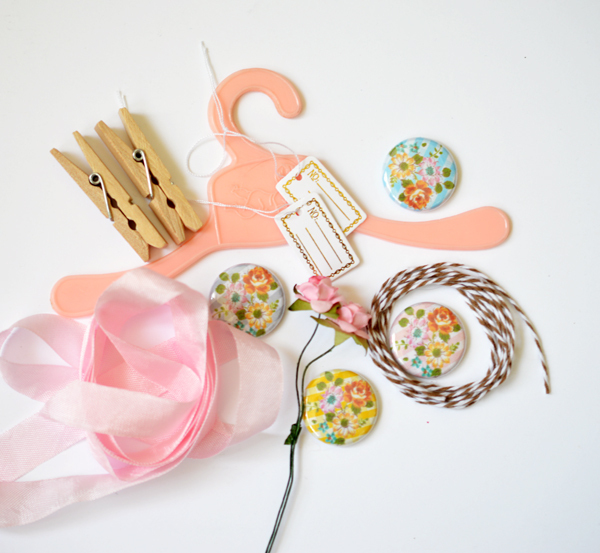 The doll image is so cute and I really like the clothespins! Count me in for your giveaway! Sweet bundle! yes, count me as well...what a great hanger bundle. I would love to be the random winner! 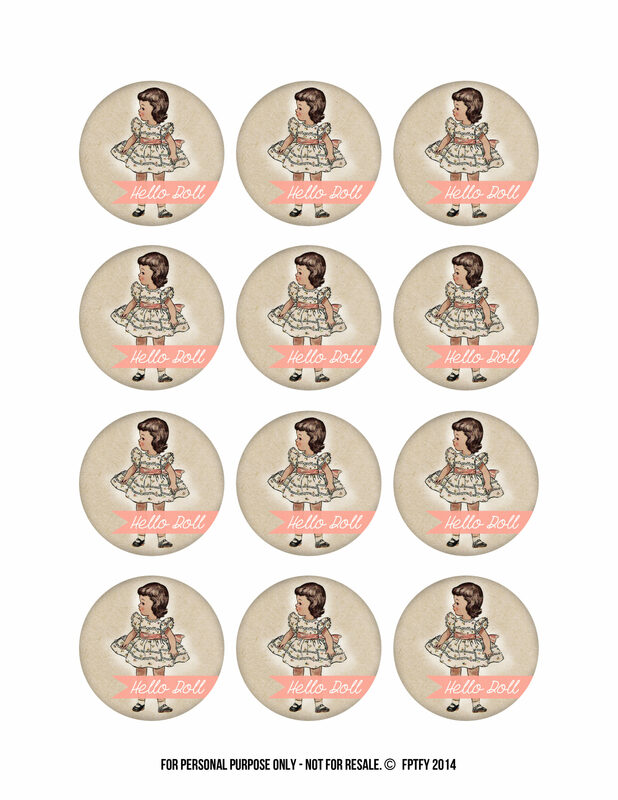 This is so cute, thanks so much for these cute circles here, they´re really cute, and so is these gorgeouse dollstuff too, so count me on too please, I would love to play with this. Oh my word...this is the most precious birthday card. I love when you tell stories about your family and how close you all are. It's a no brainer why your dad would love you to make a card for your mom...you're amazeballs talented!! Happy belated birthday to your very sweet mother and YES, YES, YES....sign me up for the giveaway..LOL.. That hangar is adorable! Thank you so much for the beautiful inspiration this morning Lori. Who wouldn't want to win this?! What a lovely card! Super supersweet Lori, your mom will absolutely LOVE this! I remember playing with these paper dolls all the time, back in the sixties they were all the rage. What an adorable card for your Mum - such a clever 'take' on paper dolls. Thank you for your generosity of the freebies & the giveaway. Too sweet and adorable! Darling card! she is going to scream so loud~ gorgeous!!!! I thought those hangers looked familiar! We always find the best stuff. 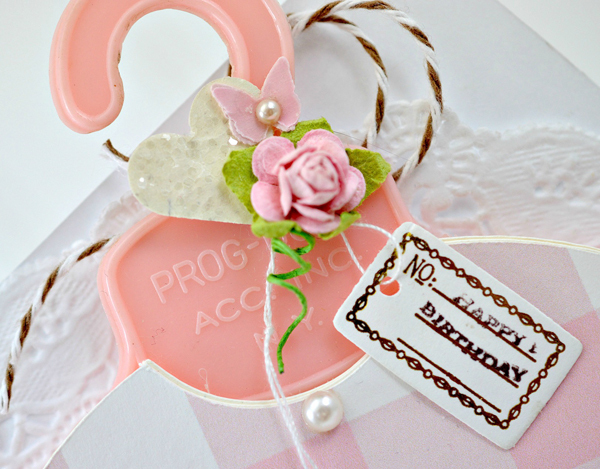 Your card is too adorable and that little hanger is just gorgeous! Such a sweet card. Thanks for a chance at this giveaway too. 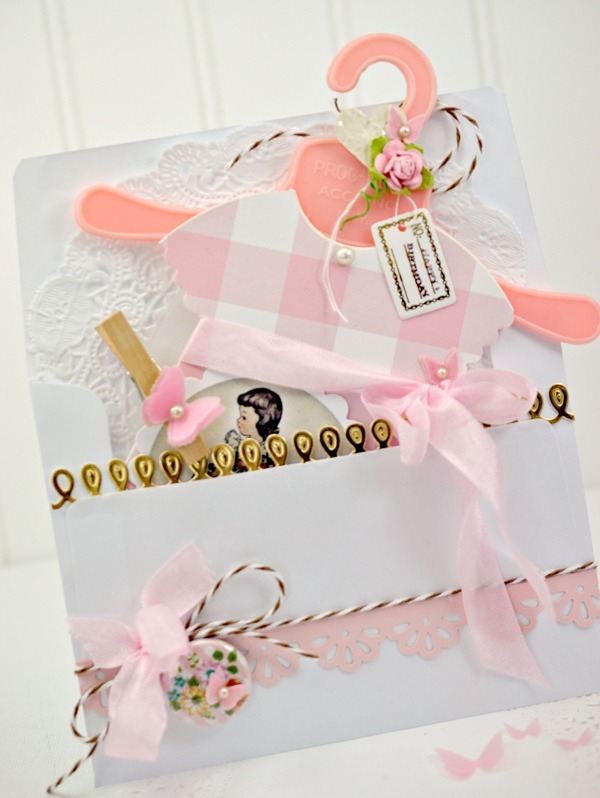 This is such a pretty card, thanks for sharing and thanks for the chance to win this fabulous prize!!! So sweet and beautiful card !!! Oh my goodness Lori the hello doll is super adorable!!! I love the gingham dress! Oh my, I love your card! I would love to win the bundle. It would make my Mother's Day. Hip Hip WHOOray + Look What I Found! Pretty Flair + Who Won?